WILMINGTON, MA – OSRAM, a global high-tech lighting company, today announced the launch of its OPTOTRONIC® intelligent programmable compact LED drivers designed to further enable penetration into the growing connected lighting market. Built on decades of global leadership, experience and collaborative R&D efforts in the lighting industry, OSRAM continues its legacy by offering a complete portfolio of indoor and outdoor LED drivers for smart lighting applications. With programmable auxiliary DC output, the OPTOTRONIC programmable compact LED drivers now can power fixture-integrated sensors, including occupancy sensors and photocells. This feature eliminates the need to have a separate power supply for each sensor, reducing the number of SKUs and overall cost for the luminaire manufacturer while enabling connectivity. 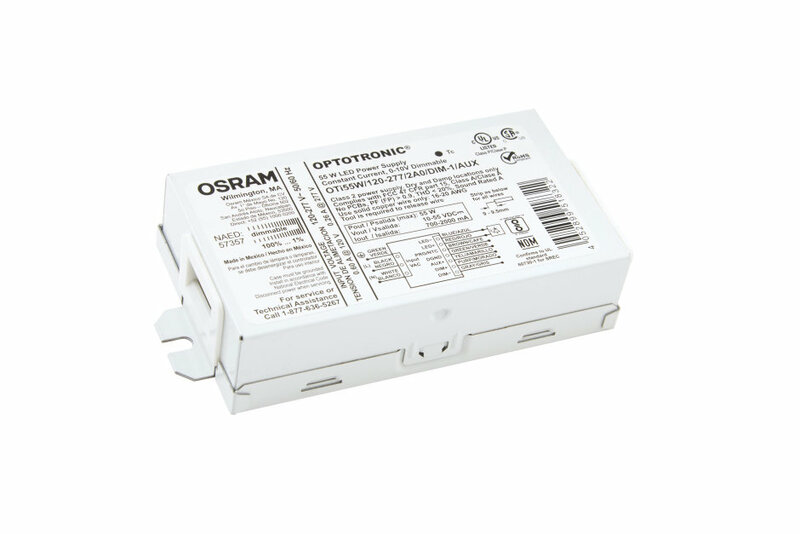 The OSRAM OPTOTRONIC drivers have the inherent capability to turn off when dimmed down below the minimum dimming level. The OPTOTRONIC compact drivers comply with the startup time and flicker requirements of CEC (CA T-24). This driver series is also UL Class P approved, which allows OEMs to interchange drivers in their luminaire without the need to submit for re-certification. Other integrated programmable features include: true 1% dimmable, LED thermal protection, constant lumen maintenance, end-of-life indication and soft start. The OPTOTRONIC family of LED drivers feature a complete portfolio of constant current and constant voltage in a variety of electrical configurations and form factors to suit a range of applications. For more product information, please visit www.osram.us/optotronic. And be sure to check out the Digital Systems blog at info.osram.us/blog. OSRAM and OPTOTRONIC are registered trademarks of OSRAM GmbH.